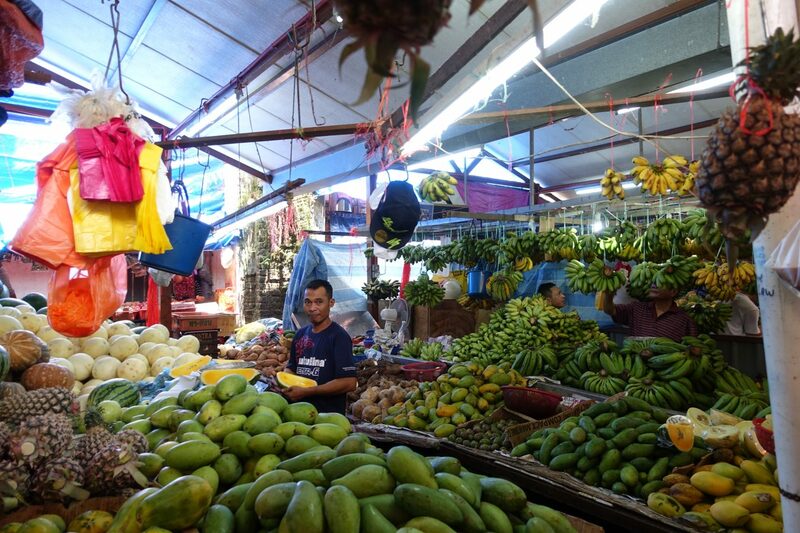 Chow Kit Market is my favorite market for fruit and vegetables in Kuala Lumpur. 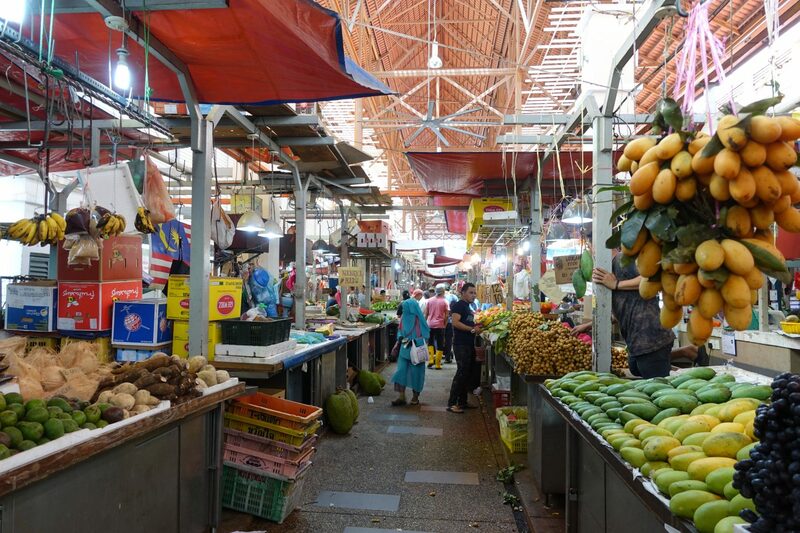 Chow Kit Market is one of Kuala Lumpur’s most popular markets! 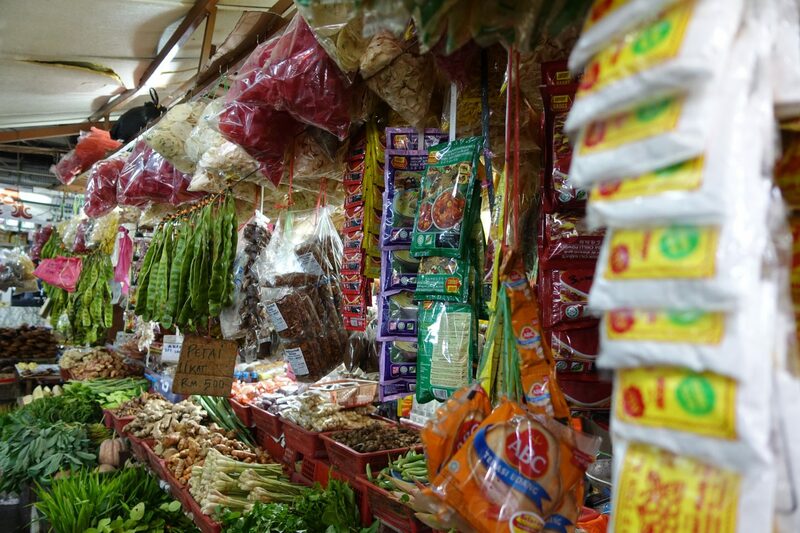 At the market, you’ll find fruit and vegetables, household goods, clothing, fish, and meat. 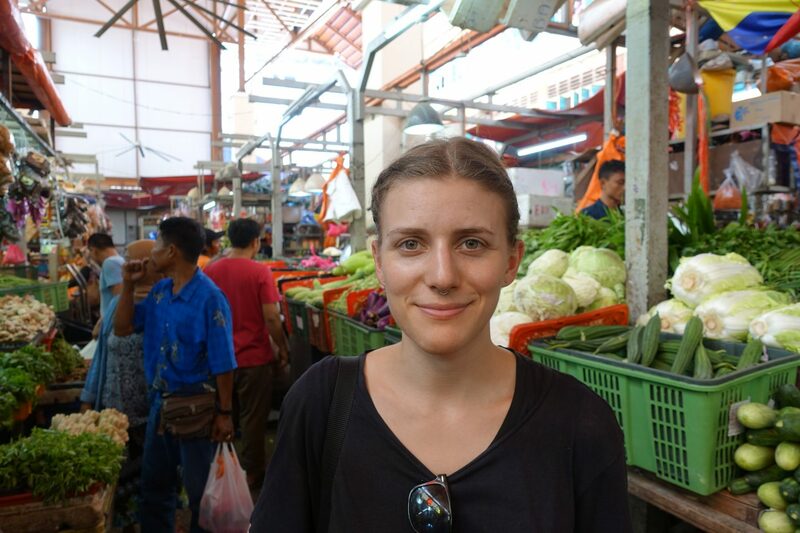 I also went to Pudu Market and liked Chow Kit Market so much better. 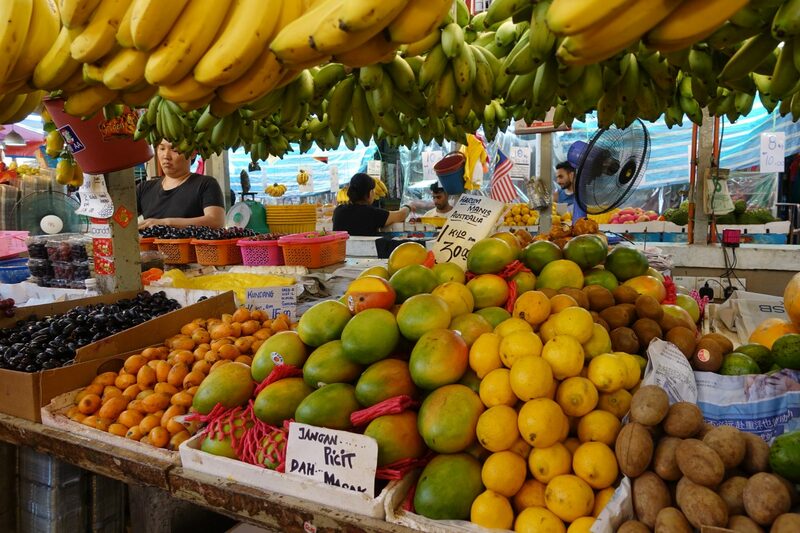 Unlike Pudu Market, Chow Kit market is really organized and there is an abundance of fruit and vegetables. There are prices on almost everything and meat and fish vendors are in a different section. As we were strolling through the fruit and vegetable section of the market, vendor upon vendor offered us mango samples. If you are a lover of mangos, then this is your place. There are lots of stalls selling a great variety of mangos and there is something for literally everyone. 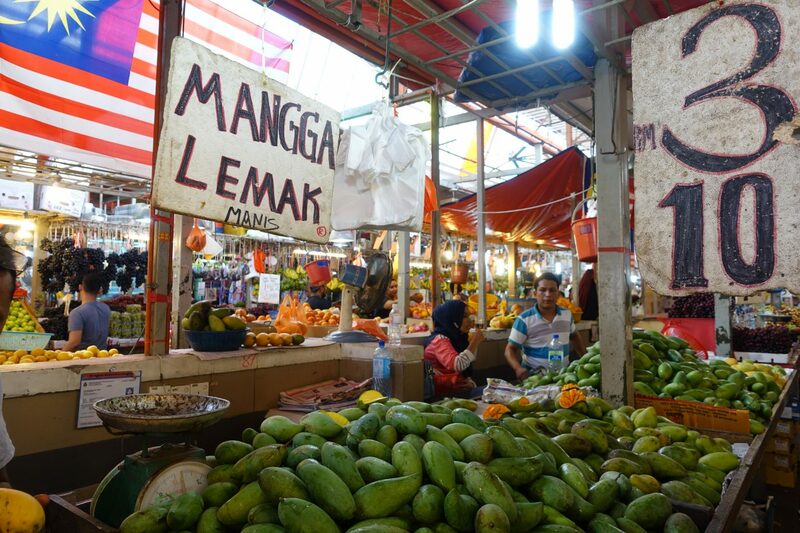 I ended up picking up some of the best mangos I ever had for 4 MYR/kilo. What I found most exciting were vendors selling mangos, tempeh, and tofu. 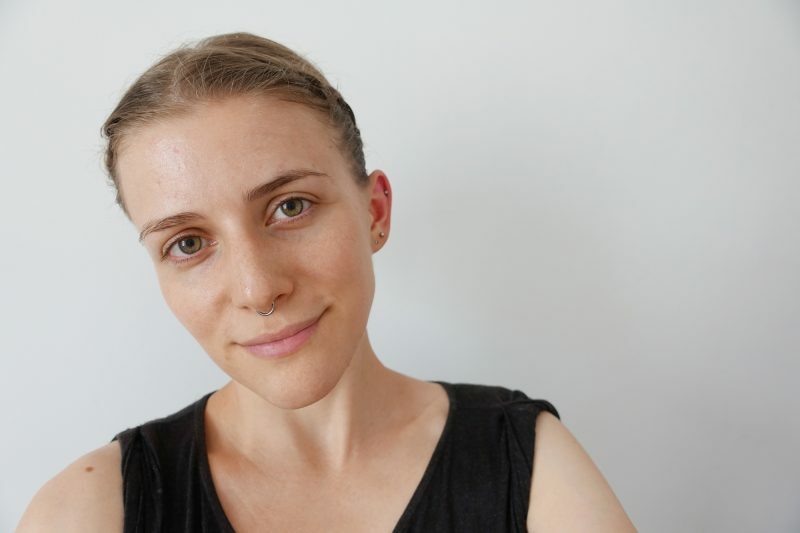 Luckily I ended up having a fully equipped kitchen in Kuala Lumpur and I ended up cooking almost every day. While most grocery stores had a decent selection, the supermarket chain Giant and Chow Kit market definitely had the best prices. If you are a fan of exploring local produce markets, then I can only highly recommend you to visit Chow Kit market. The selection of fruit and vegetables is amazing! I ended up going on the weekend, sometime in the afternoon and it wasn’t packed at all.